Fare Deal. SkyTeam Business Class to the US. Under £1,000 from London. 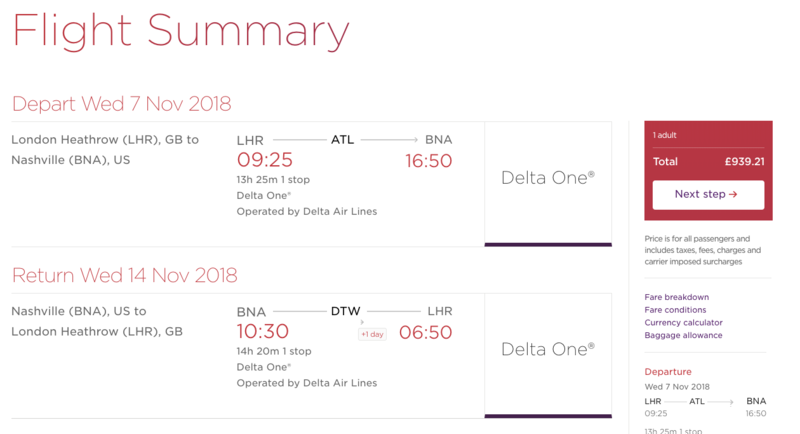 Hot on the heals of the decent fare to Portland, OR with all three major alliances, SkyTeam have some amazing fares from London to a whole host of destinations in the US, starting in November. I’ve been able to find the following deals, but there may well be more! 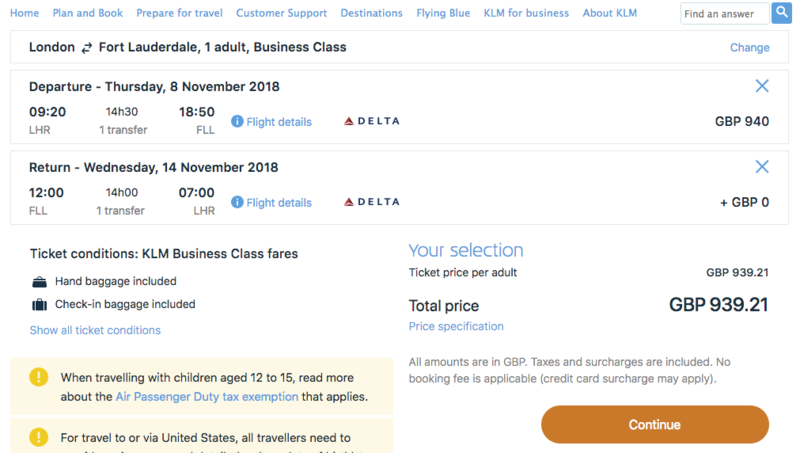 Fort Lauderdale – £940. 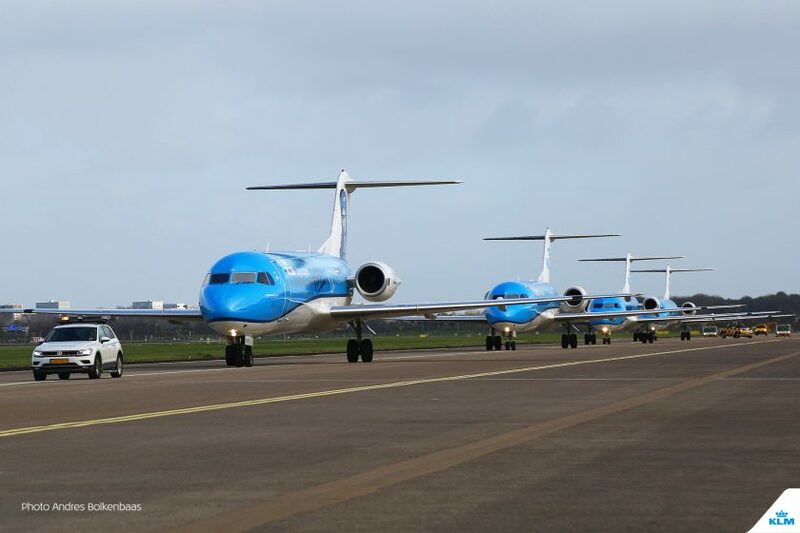 Screenshot from KLM.com. San Jose, CA – £980. 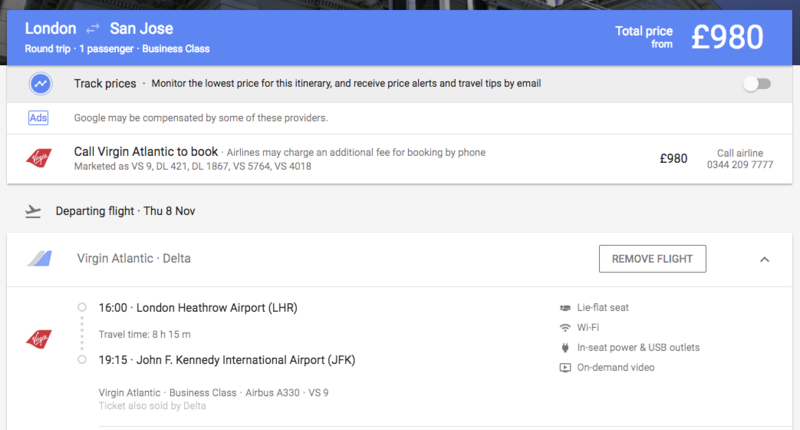 Screenshot from Google Flights. Phoenix, AZ – £980. 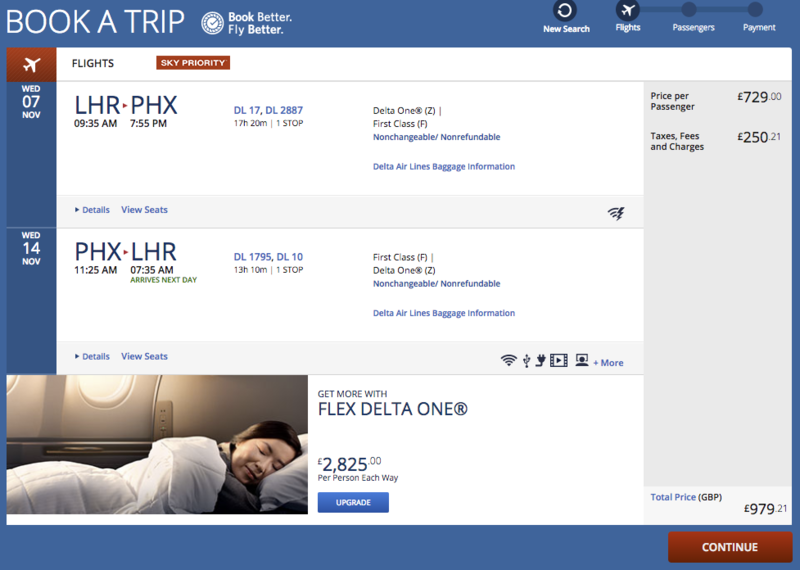 Screenshot from Delta.com. Nashville, TN – £940. Screenshot from Virgin Atlantic. These excellent deals won’t be around for very long, so highly recommend that you jump on these if you’re looking to head over to the US later in the year. Previous Post: Fare Deal. London to Portland, OR for £1400rtn in business. All alliances. Next Post: The Ginger Travel Guru is back!